Google Analytics Solutions: GAUGE Hack Night: The Results Are In! GAUGE Hack Night: The Results Are In! Analytics Pros and the BEST Practices Conference, Google Analytics enthusiast, and aspiring mountaineer. The Analytics Pros team hosted the first-ever GAUGE Hack Night & Google Analytics Application Showcase at the Boston 2012 GAUGE conference. The event consisted of a networking reception and application showcase where developers of Google Analytics integrated products had the chance to pitch their creation to a panel of industry leaders, Googlers, and the audience in 5 minutes or less. Judges included Justin Cutroni from Google, Caleb Whitmore from Analytics Pros, and a lucky audience member. Applications were evaluated by the judges based on level of Google Analytics depth and complexity, potential for business value and level of innovation and creativity. Narrative Science demonstrated a revolutionary new approach to automated reporting with a product called Quill™ for Google Analytics. 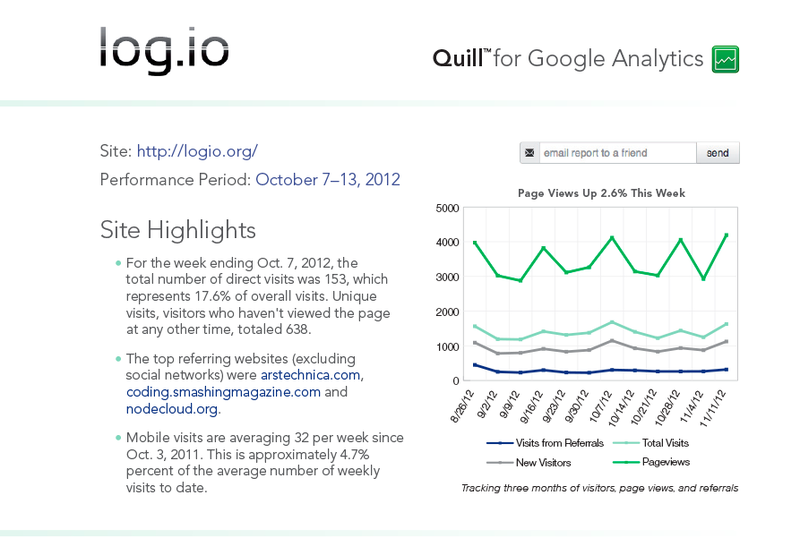 Quill analyzes Website data and automatically generates a weekly summary of trends, highlights and lowlights in plain English. Rather than provide a series of tables and graphs, users receive a succinct summary similar to one written by a professional analyst. 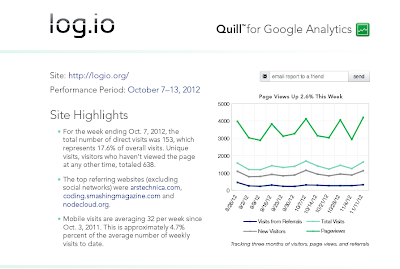 Quill reviews and interprets a year's worth of Google Analytics data to deliver insight in an easy-to-understand, mobile-friendly format. Instead of having to traverse spreadsheets to derive insights from your data, Narrative Science pulls out the most important trends and delivers them in a way that they’re ready to digest. The product is currently in private beta; interested users can request an invite. Demandbase is the first real-time targeting and personalization platform for B2B that helps you segment your Analytics based on the account details of your customers. Their solution for Google Analytics puts powerful B2B Analytics into marketers’ hands. Demandbase enables users to understand how to better engage your customers based on how they interact with your online content. 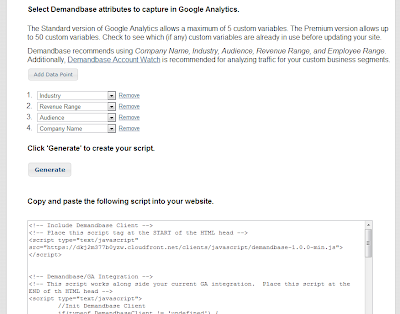 To get this Demandbase data into Google Analytics, Demandbase provides its customers with an easy to use connector. 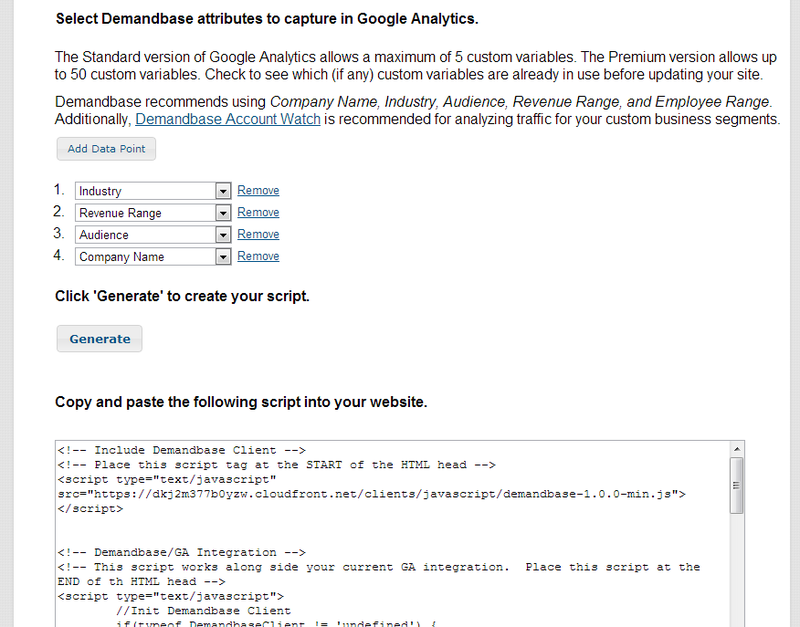 Users select the Demandbase attributes they want populated in their custom variables and with a choice of asynchronous tracking with Pageviews or with a Custom Non-Interaction event, the connector provides a custom tag that can replace or be placed alongside their existing GATC (depending on what method is selected). CampaignAlyzer is a web-based solution that acts as a central repository platform where organizations can store their marketing campaign values in one database. Marketing agencies and digital marketers across an organization now have the ability to collaborate in tagging various online and offline campaigns, and ensure consistency in their campaign tagging. The application streamlines campaign tagging into a process that is efficient, timely, accurate, adaptive, value-added and business critical. 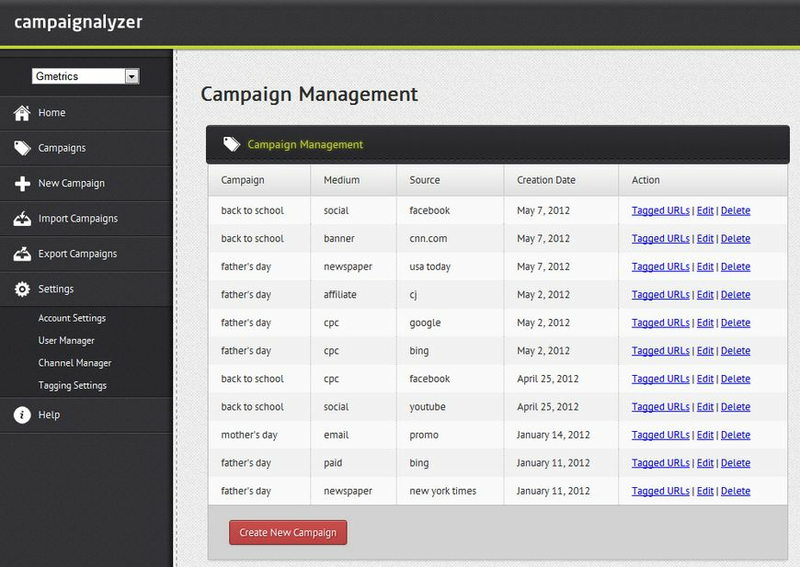 With CampaignAlyzer analysts wouldn’t need to worry about tags and where they should go. Instead they’ll now have more time to do what they should have been doing in the first place; data analysis and measuring the success of their marketing campaigns. Narrative Science, Demandbase and CampaignAlyzer represent some of the new and innovative approaches that companies are using to rethink many of the problems facing the Analytics industry. If you’re interested in exploring more ways to make the most of Google Analytics, check out the Google Analytics App Gallery to turbocharge your collection, measurement and analysis. Are you a developer building on the Analytics platform? Let us know what you’re working on! The following is a guest post contributed by Caleb Whitmore, founder of Analytics Pros and the BEST Practices Conference, Google Analytics enthusiast, and aspiring mountaineer.